If you’re looking for bridesmaid dress inspiration you have come to the right place as I have got so many stunning looks to share with you. 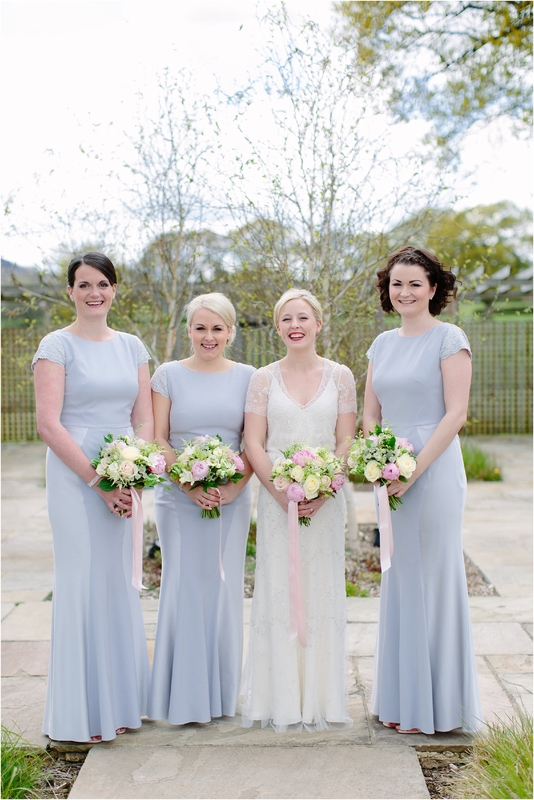 I have been a bridesmaid twice and absolutely loved it, it really is a very special role to play on your bestie’s wedding day and both times I adored the dress I wore. 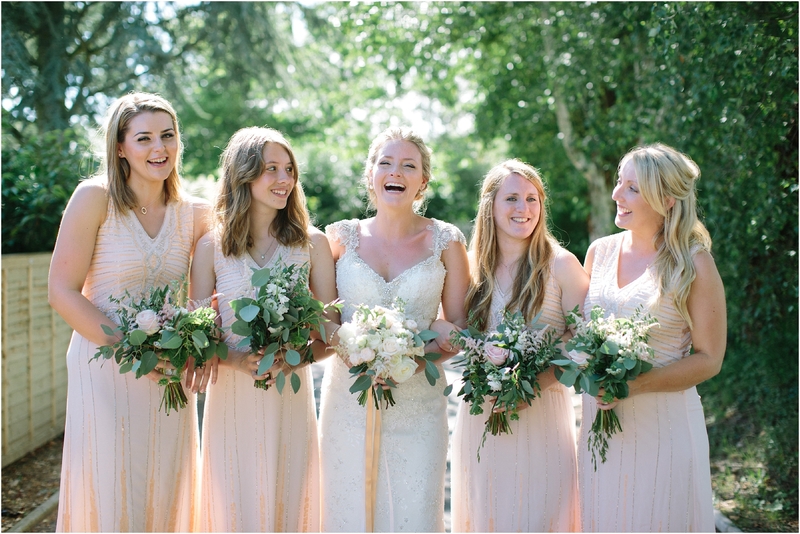 Having said that I know it’s not easy to please all of your bridesmaids, especially if you have a large number of them. In the following photos you will see that there is a dress that will flatter everyone. 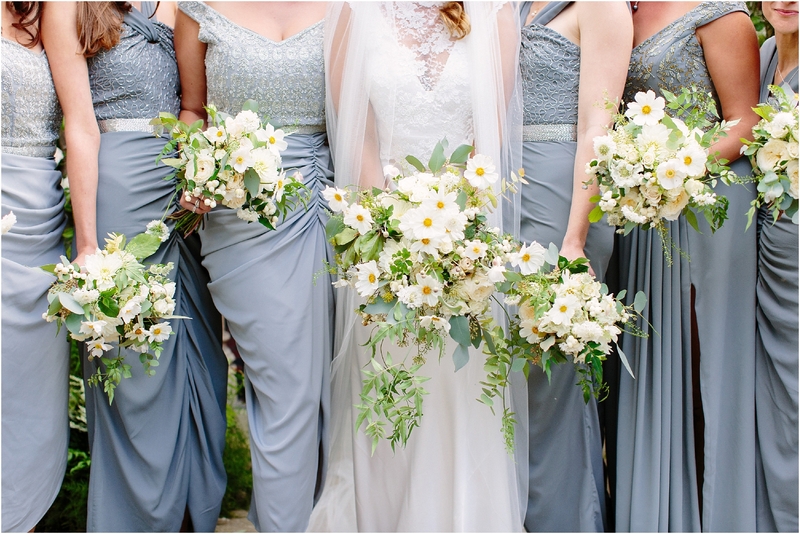 Matching bridesmaid’s dresses are becoming a thing of the past and I’m seeing more and more girls wearing mismatched dresses in similar tones which certainly adds variety to the look of your bridal party. There are some brilliant dress designers who will cater to each of your bridesmaid’s needs and make them look totally gorgeous. I highly recommend searching high and low for bridesmaid dress inspiration on Instagram, Pinterest and in bridal magazines, perhaps a look that had never occurred to you will be right for your girls. 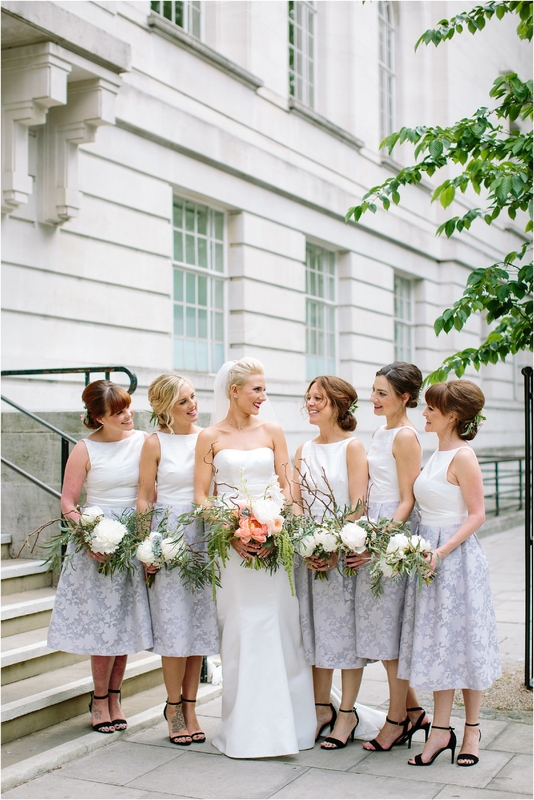 Don’t be afraid to be adventurous with your choice of dresses either, I have seen some really beautiful patterned bridesmaid’s dresses over the last few years and some very interesting fabrics and designs too. So think outside the box, plus it’s always great if you choose a dress which your maids can wear again and again, they will thank you for that! 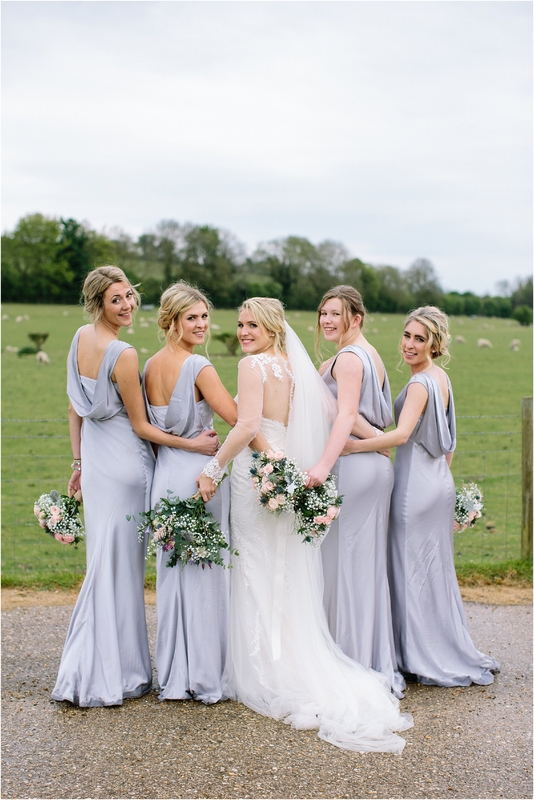 I hope you find this bridesmaid dress inspiration useful, I have had so much fun putting this blog together and reminding over the beautiful weddings I have been lucky enough to photograph. Emily dresses her best girls in peach, embellished numbers. 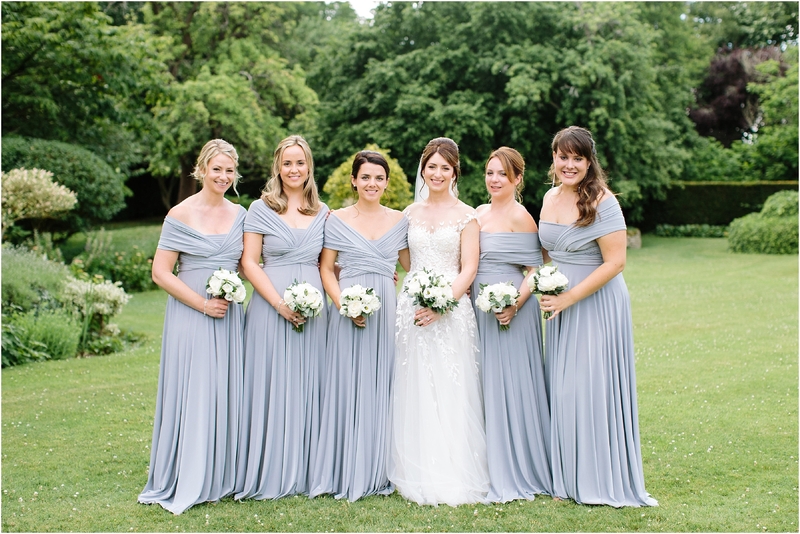 Hannah chose these divine low backed dresses from Ghost for her bridesmaids. 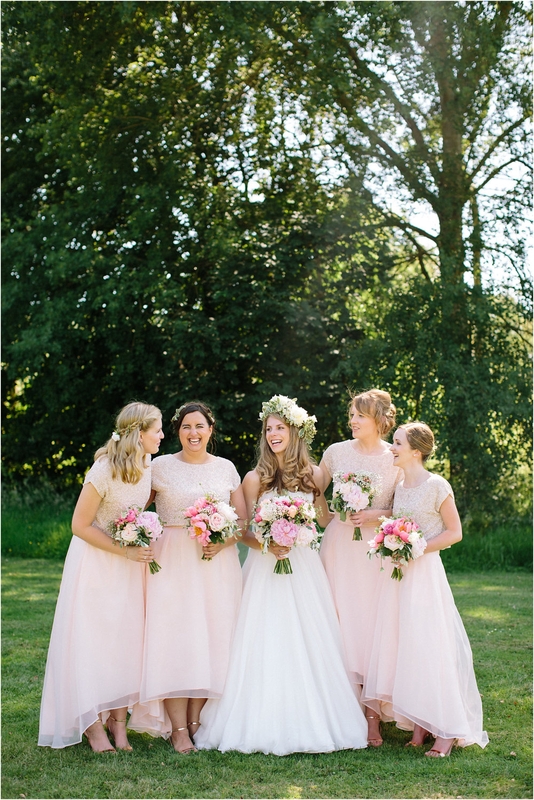 Becky put her besties in these stunning blush, two piece dresses. LOVE! Janey went for miss matched dresses from all in the same hue. 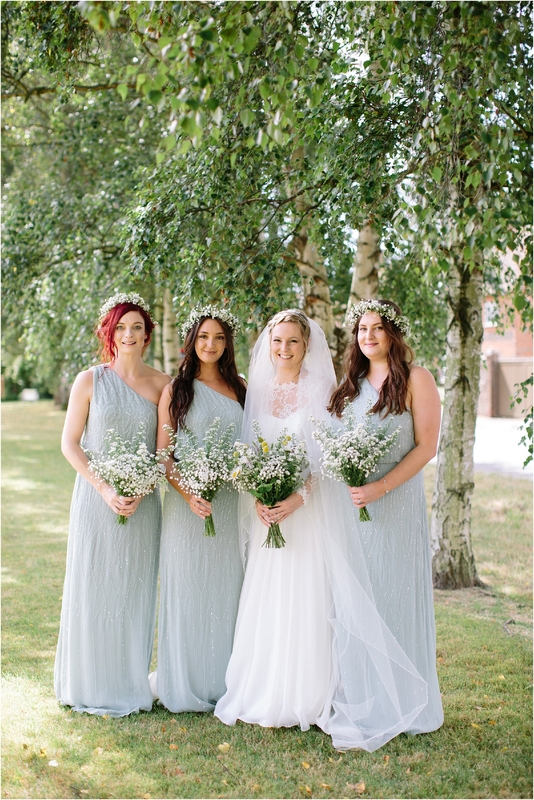 Lucy selected these gorgeous pale blue dresses from Coast for her bridesmaids, I just love the flattering cut of these! 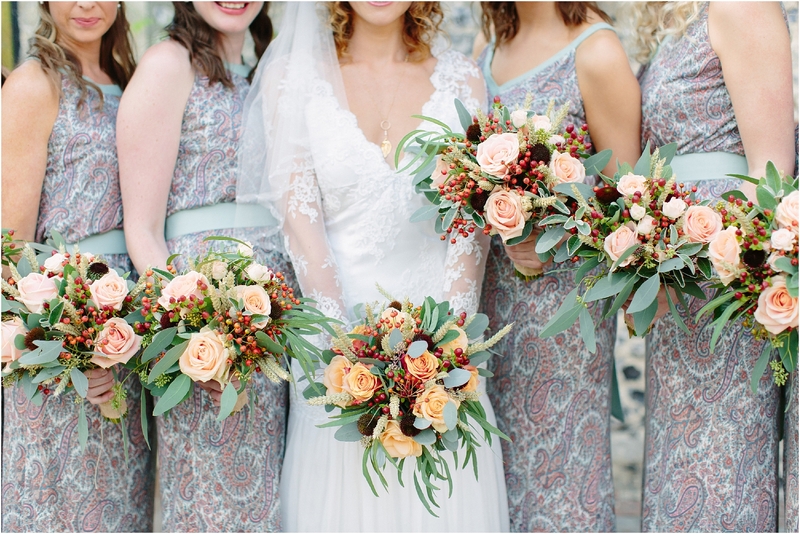 Julie went bold with paisley for her girl’s dresses which completely complimented the laid back feel of the wedding. These genius dresses by Twobirds can be tied in so many different styles, so beautiful! Hannah chose these modern knee length dresses from Oasis for her bridesmaids, I also love the black sandals which give a look a bit of ‘edge’. 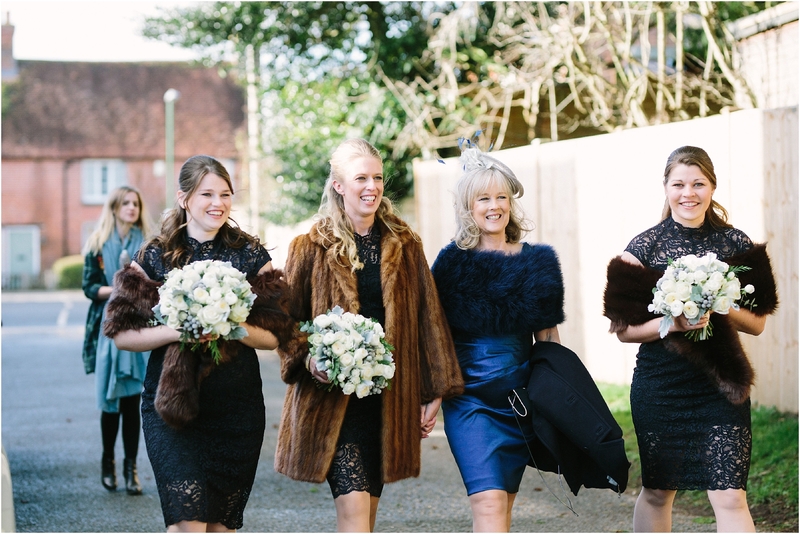 And For a winter wedding, what is more perfect than navy lace and fur!? So glam!